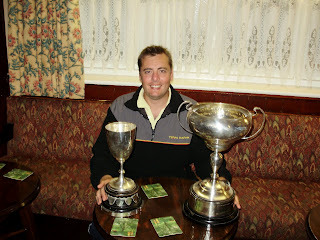 2009 winner Mark Jackson with the Open match and heaviest fish trophies. Fishing an ebbing tide, flat calm, tough conditions to find fish. 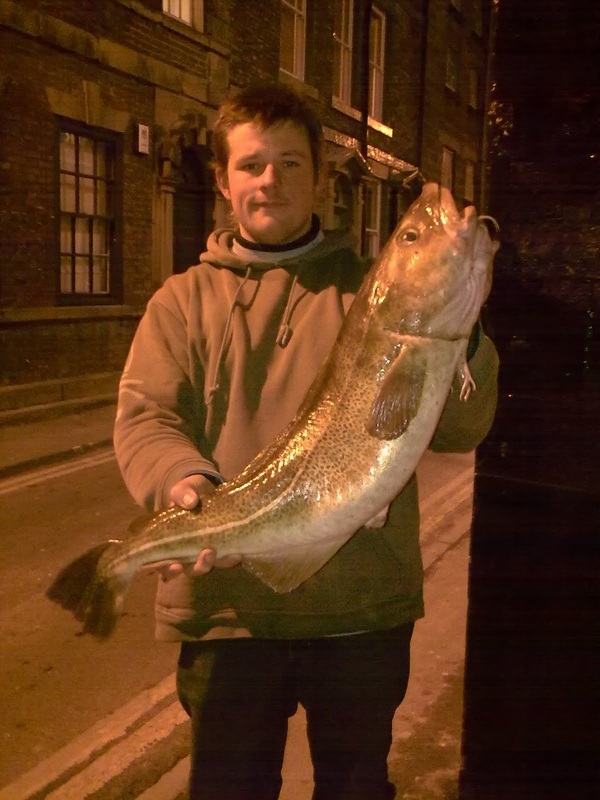 But not for Ben Laws who won the night with a cracking single cod of 10lb-8oz his personnel best and the heaviest fish of the Whitby Sea Anglers year so far. 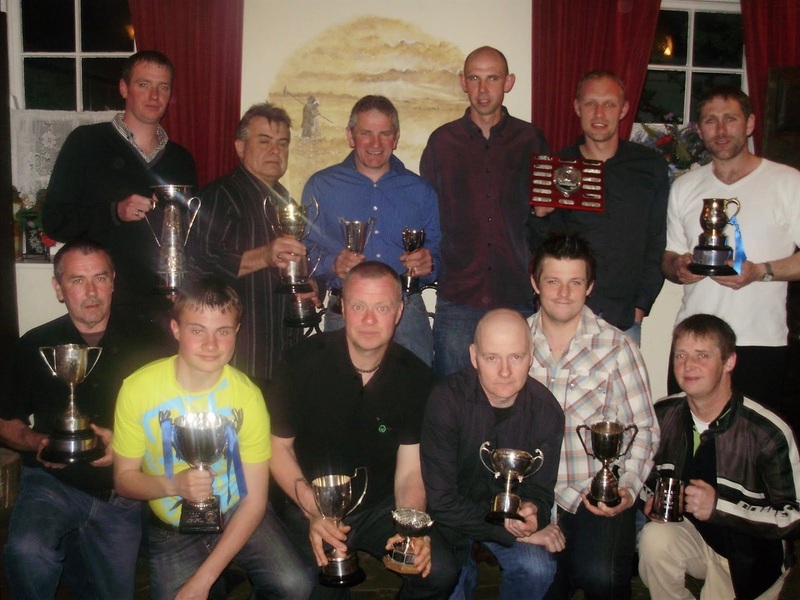 Sunday 10th January 2010 This was the annual Ship Inn Open match incorporating the Whitby Gazette trophy. 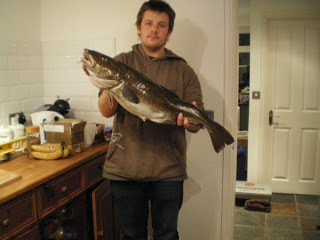 The winner would be the captor of the heaviest single Cod. 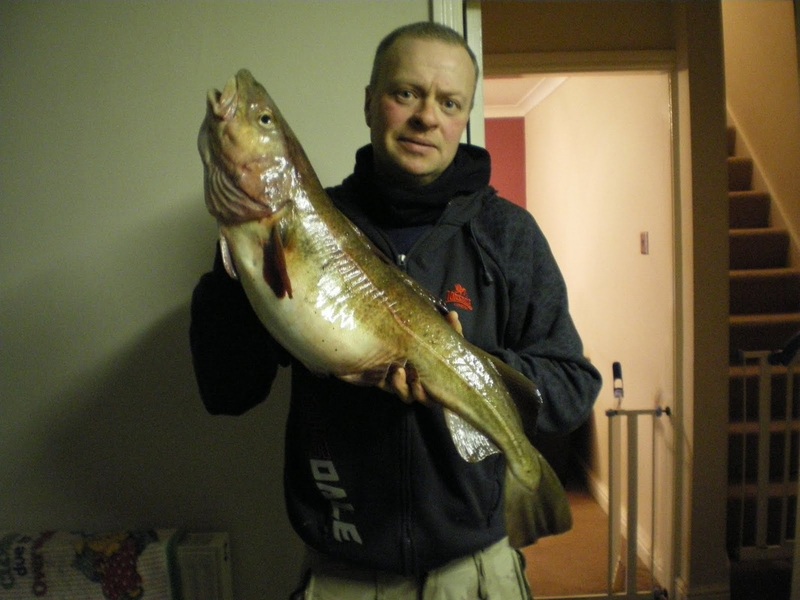 The event attracted 53 anglers who turned out to fish in cold conditions and near gale force Easterly winds.The competition was won with a single fish of 12 lb 15 oz caught by Whitby Sea Angler Ben laws.Sadly only another three anglers weighed in. Thanks go out the main sponsors Glenn Stocks and Matt & Mel from The Ship Inn. Wednesday 13th January 2010. Fishing a low water match heavy easterly movement not much colour in the water most anglers struggled to find the fish. Except Mike Vasey who had three fish for 17 lb 04 oz including a fish of 12 lb 12 oz this is also the heaviest bag of the season so far. 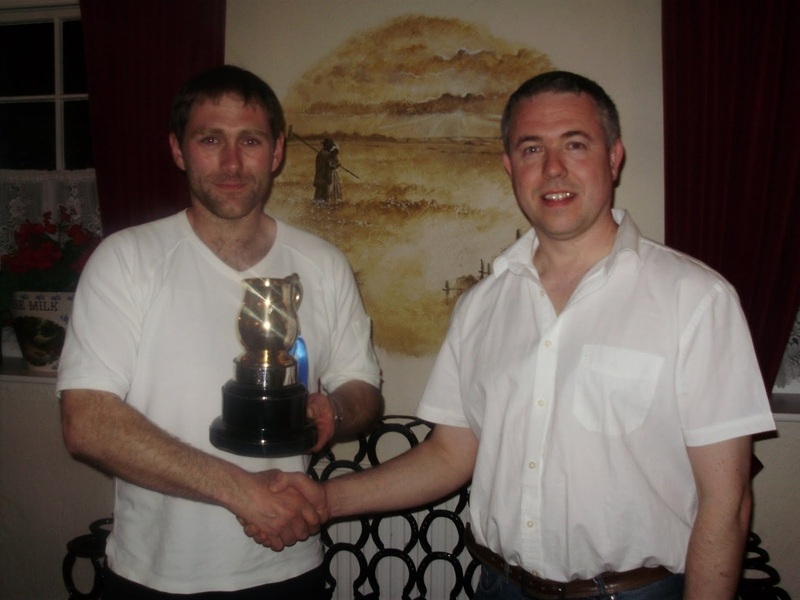 Martin Greaves with this years winner Rob Allison.